Welcome to the "New and Improved Agenda Online" program. This program allows you to view and print board meeting agendas, including attachments, and meeting minutes. The schedule of meetings is listed below. To view the next Board meeting agenda, please scroll down this page and click on the meeting you would like to view. To print the agenda/or minutes for a specific meeting you may click on the "print" button on the upper left corner after you click on the meeting you have selected. Please note that CSBA is continuing to work on the new and improved program and will be adding features as they roll over each school district's information. Please Note: Meeting minutes are available for review only after they have been adopted by the board at an upcoming board meeting. 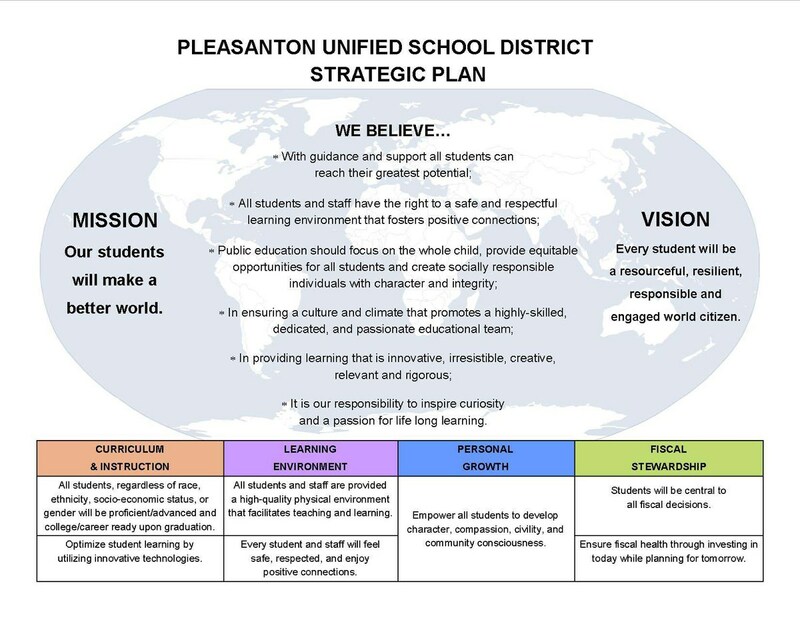 April 8, 2019, Joint City/PUSD Board Meeting, 6:30 p.m., District Office Board Room - We are not using Agenda Online for this meeting but you may access the full agenda packet by clicking on the link below or going to our Pleasanton USD front page as well.